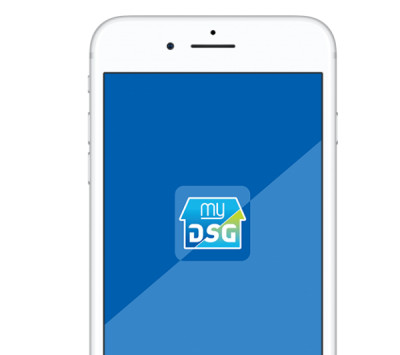 DSG Energy has launched a new mobile app “myDSG” to cater the needs of Shell Gas users including Piped and Cylinder customers. We offer a comprehensive range of services and functions to enhance overall customer experience. 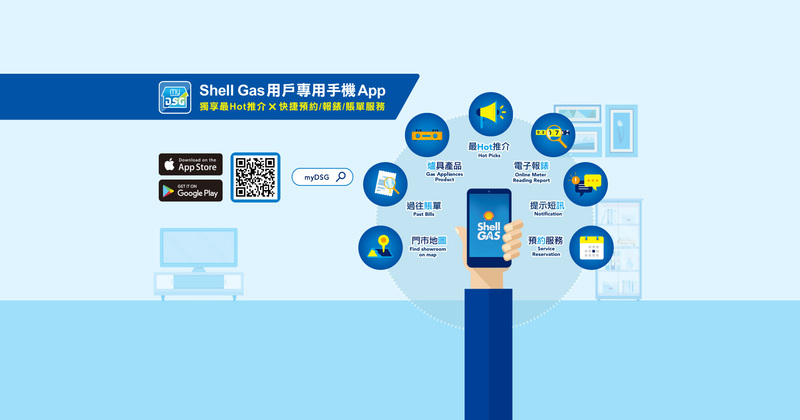 With the enhanced myDSG app, piped Shell Gas customers can manage their LPG accounts anytime and anywhere, including access to current and past LPG bills and payment records, etc. Users can also use the barcode on the e-bill to pay with ease at convenience stores. A set of reminder services are available to remind users of the monthly meter reporting, monthly billing and schedule regular safety inspection. Just a simple login, users can access the information, reports and reminder service in just a few clicks. The “One Click” function provides the simplest and easiest way to order cylinder Shell Gas for LPG users. Users don’t have to worry about where to find the LPG distributors to order LPG, myDSG app is now able to automatically find the nearest distributor based on your current location. Users can now order Shell Gas cylinders with no hassles. 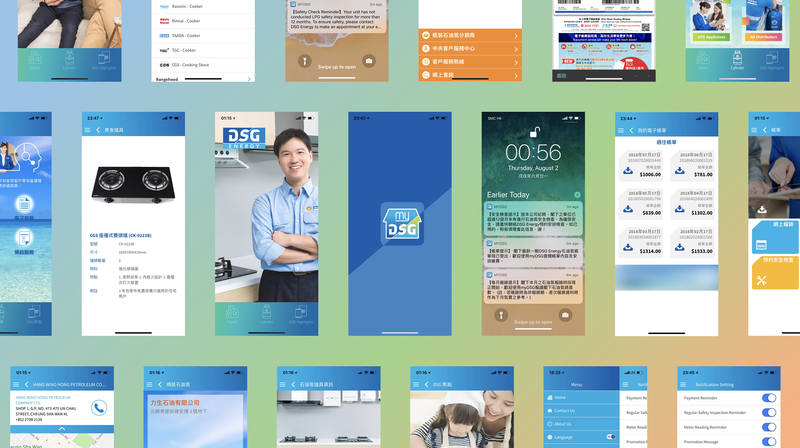 Through the special “DSG Highlights” page, users can gain access to the latest DSG updates including LPG safety knowledge and videos, regular promotional offers, selected recipes etc. We will keep on improving to provide the best in class services to our customers to make their life better and easier. Just a few simple steps, you will be able to activate your myDSG account and access to a swifter and more convenient mobile service ! Congratulations! You are logged in!